Babele 2 = English to learn: EG/3/I-02. - § 3. 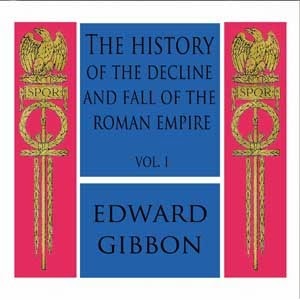 Edward Gibbon: The History of the Decline and Fall of the Roman Empire: Vol. I, Ch. 1, pt 2: The Extent of the Empire in the Age of the Antonines. EG/3/I-02. - § 3. 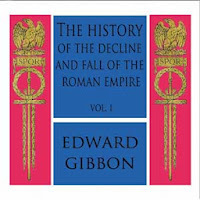 Edward Gibbon: The History of the Decline and Fall of the Roman Empire: Vol. I, Ch. 1, pt 2: The Extent of the Empire in the Age of the Antonines. Libero adattamento per finalità autodidattiche di testi e registrazioni di pubblico dominio tratti da Librivox. Acoustical liberation of books in the public domain. Testo derivato dal "Gutenberg Project” e registrazione da Librivox.org Serie: The History of the Decline and Fall of the Roman Empire Vol I/02. - Nostra numerazione del Brano: 1. Reader: Kirsten Ferreri. / download di “Chapter 01 Pt. 2” (3). Etext: Gutenberg Online Reader (p. 19-27) - Dizionari: Dicios; Sansoni:. Links: Imperium romanum. 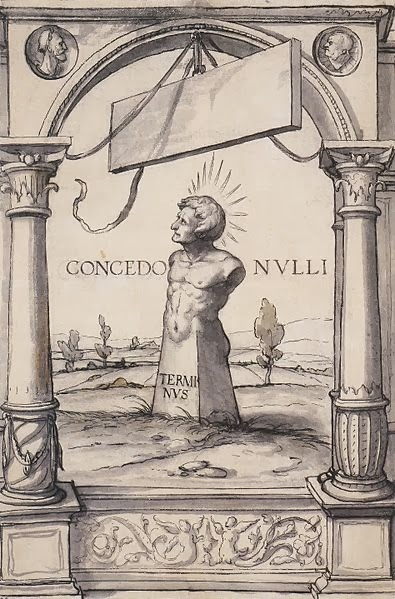 It was an ancient tradition, that when the Capitol was founded by one of the Roman kings, the god Terminus (who presided over boundaries, and was represented, according to the fashion of that age, by a large stone) alone, among all the inferior deities, refused to yield his place to Jupiter himself. A favorable inference was drawn from his obstinacy, which was interpreted by the augurs as a sure presage tha the prediction, as it is usual, contributed to its own accomplishment. But though Terminus had resisted the Majesty of Jupiter, he submitted to the authority of the emperor Hadrian. The resignation of all the eastern conquests of Trajan was the first measure of his reign. He restored to the Parthians the election of an independent sovereign; the Roman garrisons from the provinces of Armenia, Mesopotamia, and Assyria; and, in compliance with the precept of Augustus, once more established the Euphrates as the frontier of the empire. Censure, which arraigns the public actions and the private motives of princes, has ascribed to envy, a conduct which might be attributed to the prudence and moderation of Hadrian. The various character of that emperor, capable, by turns, of the meanest and the most generous sentiments, may afford some color to the suspicion. It was, however, scarcely in his power to place the superiority of his predecessor in a more conspicuous light, than by thus confessing himself unequal to the task of defending the conquests of Trajan. Careless of the difference of seasons and of climates, he marched on foot, and bare-headed, over the snows of Caledonia, and the sultry plains of the Upper Egypt; nor was there a province of the empire which, in the course of his reign, was not honored with the presence of the monarch. But the tranquil life of Antoninus Pius was spent in the bosom of Italy, and, during the twenty-three years that he directed the public administration, the longest journeys of that amiable prince extended no farther than from his palace in Rome to the retirement of his Lanuvian villa. Notwithstanding this difference in their personal conduct, the general system of Augustus was equally adopted and uniformly pursued by Hadrian and by the two Antonines. They persisted in the design of maintaining the dignity of the empire, without attempting to enlarge its limits. By every honorable expedient they invited the friendship of the barbarians; and endeavored to convince mankind that the Roman power, raised above the temptation of conquest, was actuated only by the love of order and justice. During a long period of forty-three years, their virtuous labors were crowned with success; and if we except a few slight hostilities, that served to exercise the legions of the frontier, the reigns of Hadrian and Antoninus Pius offer the fair prospect of universal peace. The Roman name was revered among the most remote nations of the earth. The fiercest barbarians frequently submitted their differences to the arbitration of the emperor; and we are informed by a contemporary historian that he had seen ambassadors who were refused the honor which they came to solicit of being admitted into the rank of subjects. The terror of the Roman arms added weight and dignity to the moderation of the emperors. They preserved peace by a constant preparation for war; and while justice regulated their conduct, they announced to the nations on their confines, that they were as little disposed to endure, as to offer an injury. The military strength, which it had been sufficient for Hadrian and the elder Antoninus to display, was exerted against the Parthians and the Germans by the emperor Marcus. The hostilities of the barbarians provoked the resentment of that philosophic monarch, and, in the prosecution of a just defence, Marcus and his generals obtained many signal victories, both on the Euphrates and on the Danube. The military establishment of the Roman empire, which thus assured either its tranquillity or success, will now become the proper and important object of our attention. In the purer ages of the commonwealth, the use of arms was reserved for those ranks of citizens who had a country to love, a property to defend, and some share in enacting those laws, which it was their interest as well as duty to maintain. But in proportion as the public freedom was lost in extent of conquest, war was gradually improved into an art, and degraded into a trade. The legions themselves, even at the time when they were recruited in the most distant provinces, were supposed to consist of Roman citizens. That distinction was generally considered, either as a legal qualification or as a proper recompense for the soldier; but a more serious regard was paid to the essential merit of age, strength, and military stature. In all levies, a just preference was given to the climates of the North over those of the South: the race of men born to the exercise of arms was sought for in the country rather than in cities; and it was very reasonably presumed, that the hardy occupations of smiths, carpenters, and huntsmen, would supply more vigor and resolution than the sedentary trades which are employed in the service of luxury. After every qualification of property had been laid aside, the armies of the Roman emperors were still commanded, for the most part, by officers of liberal birth and education; but the common soldiers, like the mercenary troops of modern Europe, were drawn from the meanest, and very frequently from the most profligate, of mankind. that, although the prowess of a private soldier must often escape the notice of fame, his own behavior might sometimes confer glory or disgrace on the company, the legion, or even the army, to whose honors he was associated. On his first entrance into the service, an oath was administered to him with every circumstance of solemnity. He promised never to desert his standard, to submit his own will to the commands of his leaders, and to sacrifice his life for the safety of the emperor and the empire. The attachment of the Roman troops to their standards was inspired by the united influence of religion and of honor. The golden eagle, which glittered in the front of the legion, was the object of their fondest devotion; nor was it esteemed less impious than it was ignominious, to abandon that sacred ensign in the hour of danger. These motives, which derived their strength from the imagination, were enforced by fears and hopes of a more substantial kind. Regular pay, occasional donatives, and a stated recompense, after the appointed time of service, alleviated the hardships of the military life, whilst, on the other hand, it was impossible for cowardice or disobedience to escape the severest punishment. The centurions were authorized to chastise with blows, the generals had a right to punish with death; and it was an inflexible maxim of Roman discipline, that a good soldier should dread his officers far more than the enemy. From such laudable arts did the valor of the Imperial troops receive a degree of firmness and docility unattainable by the impetuous and irregular passions of barbarians. And yet so sensible were the Romans of the imperfection of valor without skill and practice, that, in their language, the name of an army was borrowed from the word which signified exercise. Military exercises were the important and unremitted object of their discipline. The recruits and young soldiers were constantly trained, both in the morning and in the evening, nor was age or knowledge allowed to excuse the veterans from the daily repetition of what they had completely learnt. Large sheds were erected in the winter-quarters of the troops, that their useful labors might not receive any interruption from the most tempestuous weather; and it was carefully observed, that the arms destined to this imitation of war, should be of double the weight which was required in real action. It is not the purpose of this work to enter into any minute description of the Roman exercises. We shall only remark, that they comprehended whatever could add strength to the body, activity to the limbs, or grace to the motions. The soldiers were diligently instructed to march, to run, to leap, to swim, to carry heavy burdens, to handle every species of arms that was used either for offence or for defence, either in distant engagement or in a closer onset; to form a variety of evolutions; and to move to the sound of flutes in the Pyrrhic or martial dance. In the midst of peace, the Roman troops familiarized themselves with the practice of war; and it is prettily remarked by an ancient historian who had fought against them, that the effusion of blood was the only circumstance which distinguished a field of battle from a field of exercise. It was the policy of the ablest generals, and even of the emperors themselves, to encourage these military studies by their presence and example; and we are informed that Hadrian, as well as Trajan, frequently condescended to instruct the unexperienced soldiers, to reward the diligent, and sometimes to dispute with them the prize of superior strength or dexterity. Under the reigns of those princes, the science of tactics was cultivated with success; and as long as the empire retained any vigor, their military instructions were respected as the most perfect model of Roman discipline. from those which achieved the victories of Caesar, or defended the monarchy of Hadrian and the Antonines. The constitution of the Imperial legion may be described in a few words. The heavy-armed infantry, which composed its principal strength, was divided into ten cohorts, and fifty-five companies, under the orders of a correspondent number of tribunes and centurions. The first cohort, which always claimed the post of honor and the custody of the eagle, was formed of eleven hundred and five soldiers, the most approved for valor and fidelity. The remaining nine cohorts consisted each of five hundred and fifty-five; and the whole body of legionary infantry amounted to six thousand one hundred men. Their arms were uniform, and admirably adapted to the nature of their service: an open helmet, with a lofty crest; a breastplate, or coat of mail; greaves on their legs, and an ample buckler on their left arm. The buckler was of an oblong and concave figure, four feet in length, and two and a half in breadth, framed of a light wood, covered with a bull's hide, and strongly guarded with plates of brass. Besides a lighter spear, the legionary soldier grasped in his right hand the formidable pilum, a ponderous javelin, whose utmost length was about six feet, and which was terminated by a massy triangular point of steel of eighteen inches. This instrument was indeed much inferior to our modern fire-arms; since it was exhausted by a single discharge, at the distance of only ten or twelve paces. Yet when it was launched by a firm and skilful hand, there was not any cavalry that durst venture within its reach, nor any shield or corselet that could sustain the impetuosity of its weight. As soon as the Roman had darted his pilum, he drew his sword, and rushed forwards to close with the enemy. His sword was a short well-tempered Spanish blade, that carried a double edge, and was alike suited to the purpose of striking or of pushing; but the soldier was always instructed to prefer the latter use of his weapon, as his own body remained less exposed, whilst he inflicted a more dangerous wound on his adversary. The legion was usually drawn up eight deep; and the regular distance of three feet was left between the files as well as ranks. A body of troops, habituated to preserve this open order, in a long front and a rapid charge, found themselves prepared to execute every disposition which the circumstances of war, or the skill of their leader, might suggest. The soldier possessed a free space for his arms and motions, and sufficient intervals were allowed, through which seasonable reenforcements might be introduced to the relief of the exhausted combatants. The tactics of the Greeks and Macedonians were formed on very different principles. The strength of the phalanx depended on sixteen ranks of long pikes, wedged together in the closest array. But it was soon discovered by reflection, as well as by the event, that the strength of the phalanx was unable to contend with the activity of the legion. seem to have borrowed from the barbarians. The safety and honor of the empire was principally intrusted to the legions, but the policy of Rome condescended to adopt every useful instrument of war. Considerable levies were regularly made among the provincials, who had not yet deserved the honorable distinction of Romans. Many dependent princes and communities, dispersed round the frontiers, were permitted, for a while, to hold their freedom and security by the tenure of military service. Even select troops of hostile barbarians were frequently compelled or persuaded to consume their dangerous valor in remote climates, and for the benefit of the state. All these were included under the general name of auxiliaries; and howsoever they might vary according to the difference of times and circumstances, their numbers were seldom much inferior to those of the legions themselves. Among the auxiliaries, the bravest and most faithful bands were placed under the command of praefects and centurions, and severely trained in the arts of Roman discipline; but the far greater part retained those arms, to which the nature of their country, or their early habits of life, more peculiarly adapted them. By this institution, each legion, to whom a certain proportion of auxiliaries was allotted, contained within itself every species of lighter troops, and of missile weapons; and was capable of encountering every nation, with the advantages of its respective arms and discipline. Nor was the legion destitute of what, in modern language, would be styled a train of artillery. It consisted in ten military engines of the largest, and fifty-five of a smaller size; but all of which, either in an oblique or horizontal manner, discharged stones and darts with irresistible violence.